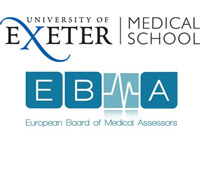 The University of Exeter Medical School and the European Board of Medical Assessors (EBMA) are collaborating to provide an opportunity for Medical Schools around the world to come together to discuss ‘Progress Testing (PT)’ – understanding what it is, the psychometrics of PT, its different contexts and PT as an assessment tool for the future. Looking Ahead at Progress Testing will be held on Friday 22nd June 2018 and we are delighted to be attending. Stop by our stand for a chat about our market leading exam management software and learn how it can streamline running exams.